Those who travel to Hawaii know the drill. There are, of course, all the popular tourist destinations, places where you’re getting the Hawaiian experience without really getting it. 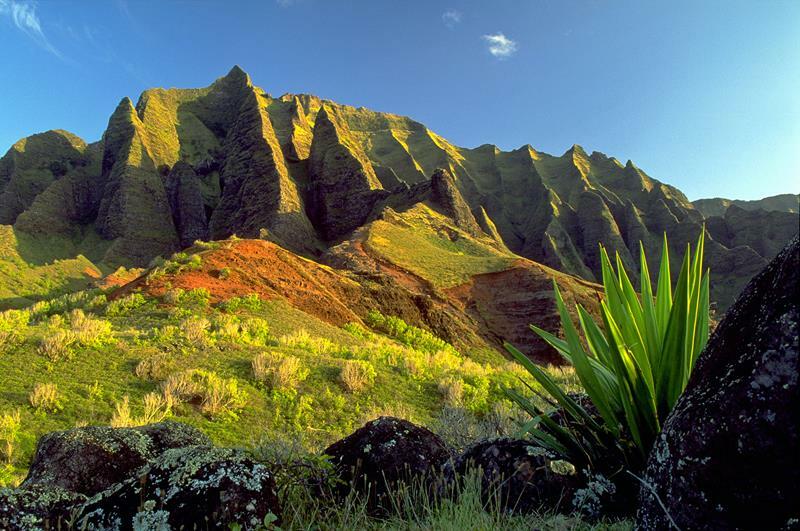 Then, there are the real reasons to see Hawaii: the lush jungles, awe-inspiring beaches, active volcanoes, and exotic wildlife – just to name a few. 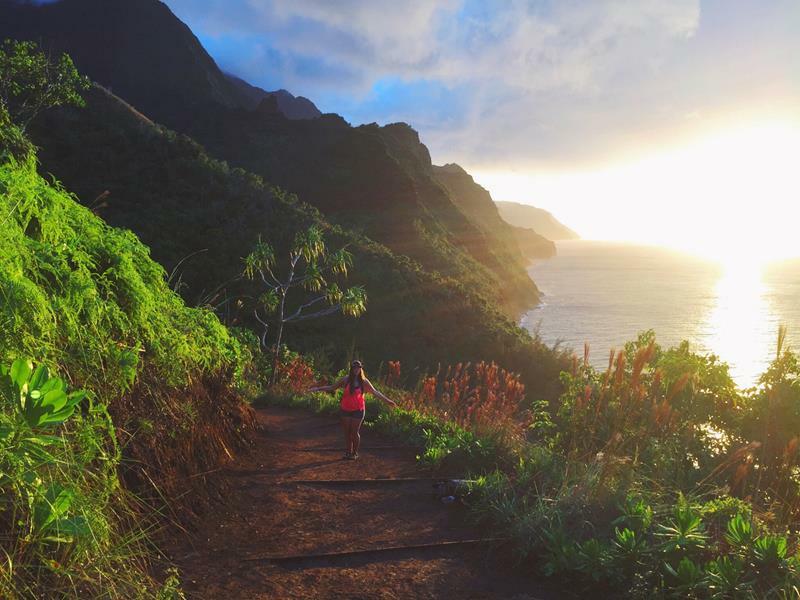 If you fall into the latter camp of traveler, and you’re the kind of person that doesn’t mind a little adventure while you’re away from home, then you’ve got to check out the Kalalau Trail. 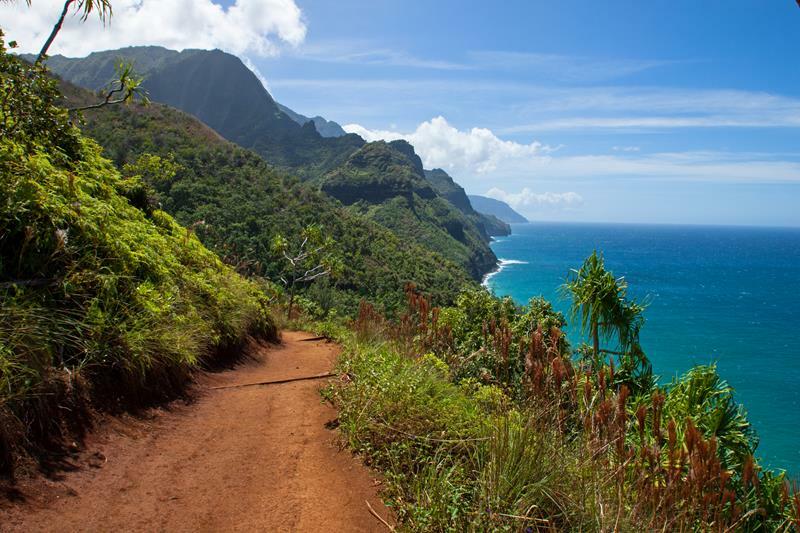 It’s located along the Na Pali Coast, and it gives those who traverse it the chance to experience most of what the natural lands of Hawaii have to offer. To be sure, though, you’ll want to make sure you’re physically fit and up for the journey. 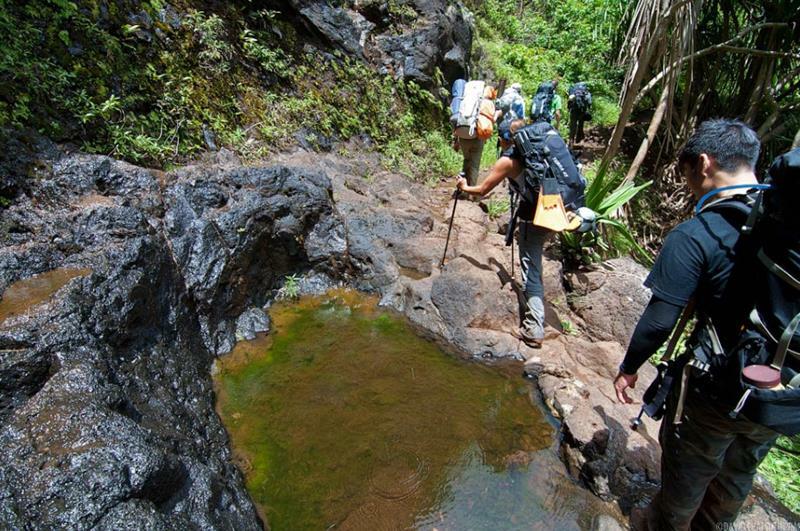 Parts of the trail are quite treacherous, and a round-trip trek will take you a whopping 22 miles! Would you like to get a glimpse of what the trail looks like and a feel for why so many travelers make the journey every year? 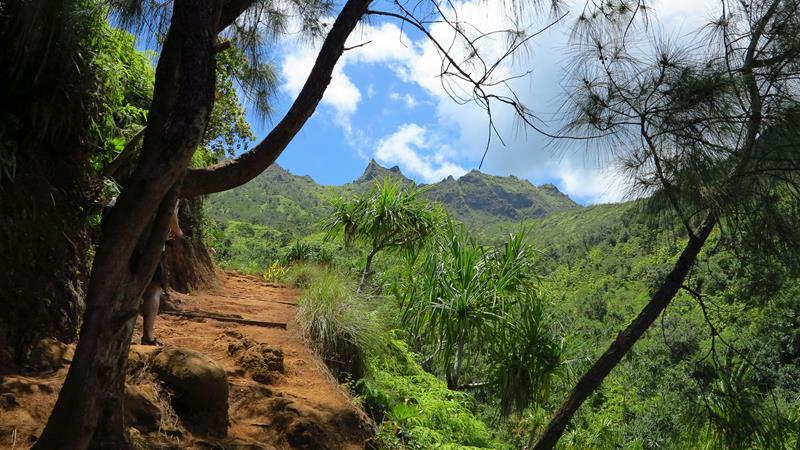 Well, come take a tour of the Kalalau Trail with is in the 18 breathtaking pictures that follow! 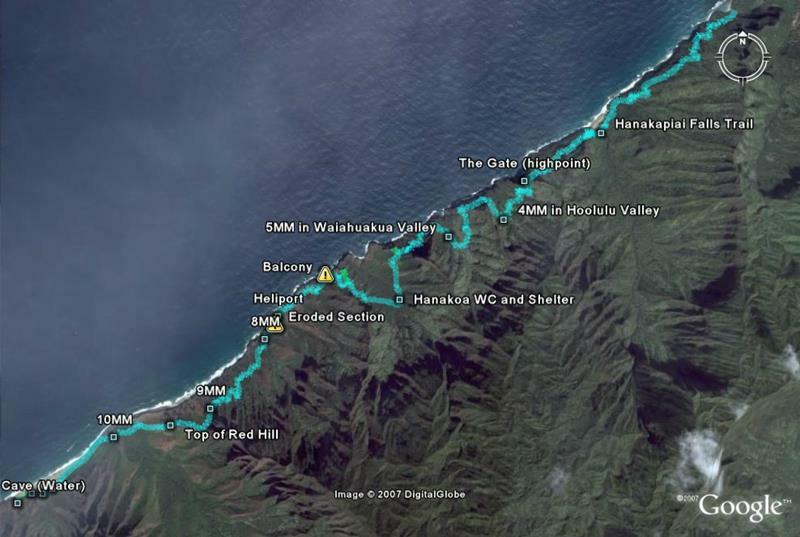 This map gives you a bird’s eye look at the extent of the trail. 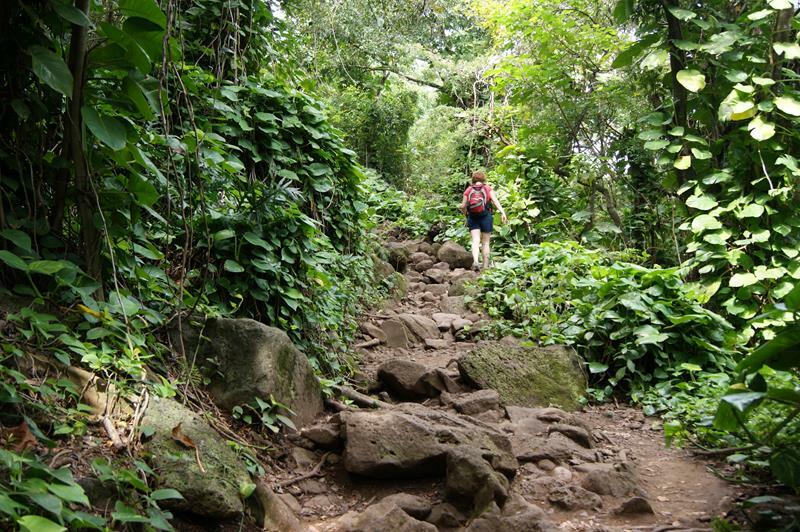 As you can see, it’s quite long, and it takes you through some steep terrain! 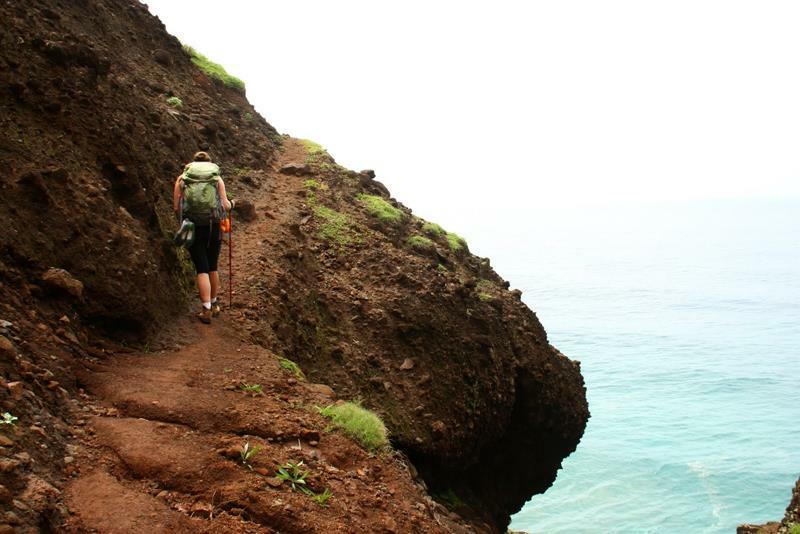 Most of the trail is located up above the shore as a thin line snaking its way along the steep cliffs. 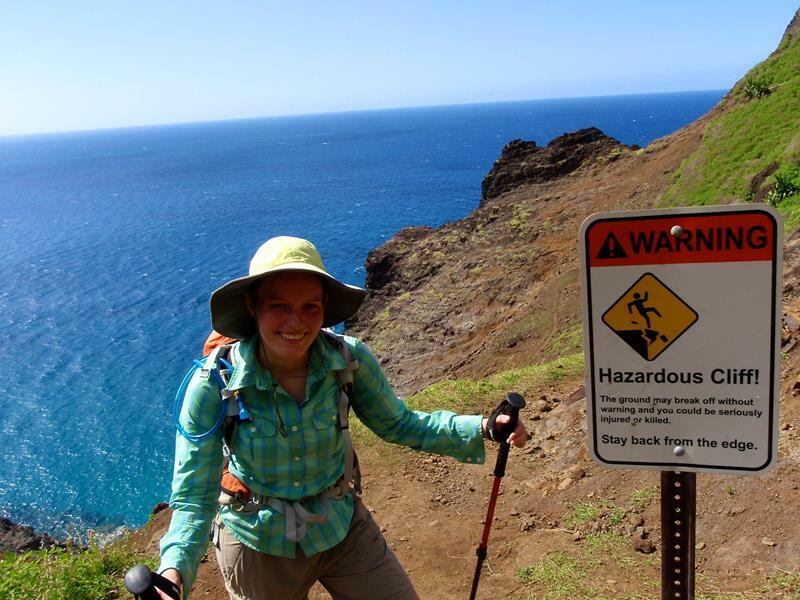 Here, you can see one hiker, as she poses next a sign which warns of the treacherousness that awaits those who brave the Kalalau Trail. And, that sign isn’t kidding. 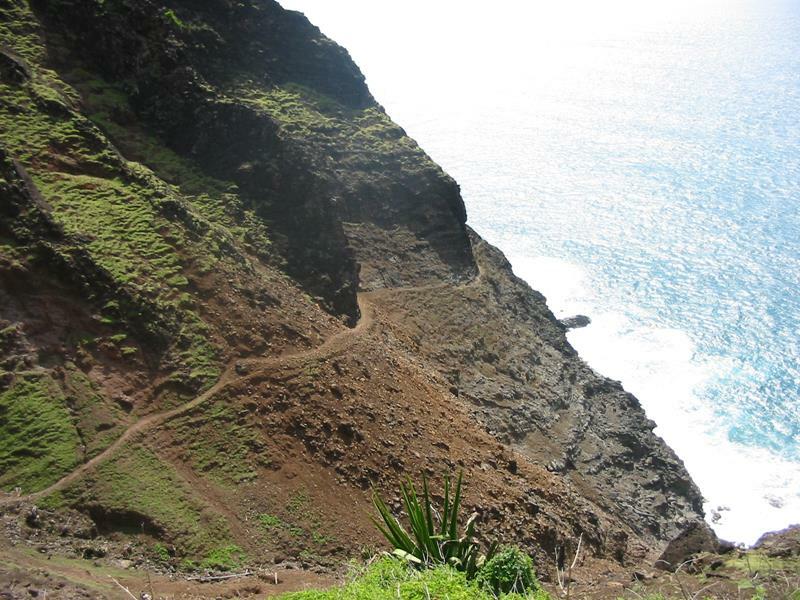 As you can see here, sure footing is necessary for making your way along much of the Kalalau Trail. 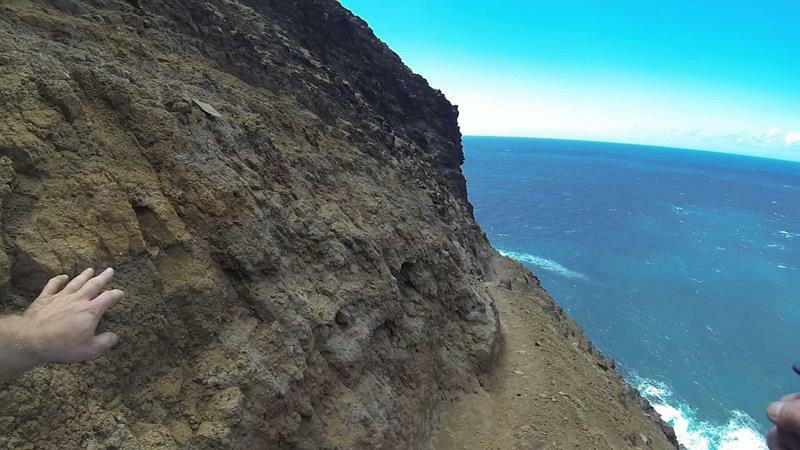 If looking at this photograph gives you vertigo, then maybe the Kalalau Trail isn’t for you! However, if you’ve got the nerves of steel necessary for this hike, you’ll find that the views you get and the geologic formations you see are quite stunning! The ocean is beautifully, but you’ll see if you turn toward the island is beautiful, too. Here you can see “Red Hill” in the foreground. Of course, not all of the trail is along the water. 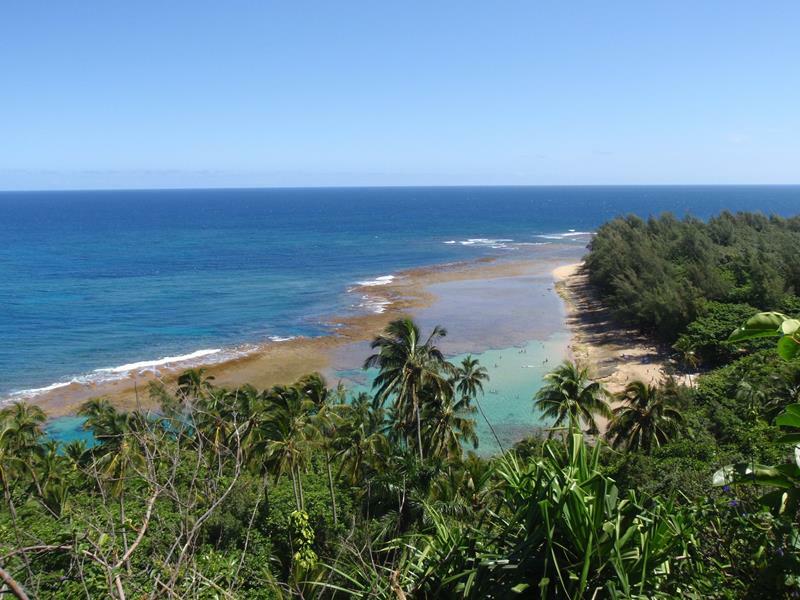 At points, you’ll be forced to turn inland, where you’ll be surrounding by lush Hawaiian jungle. 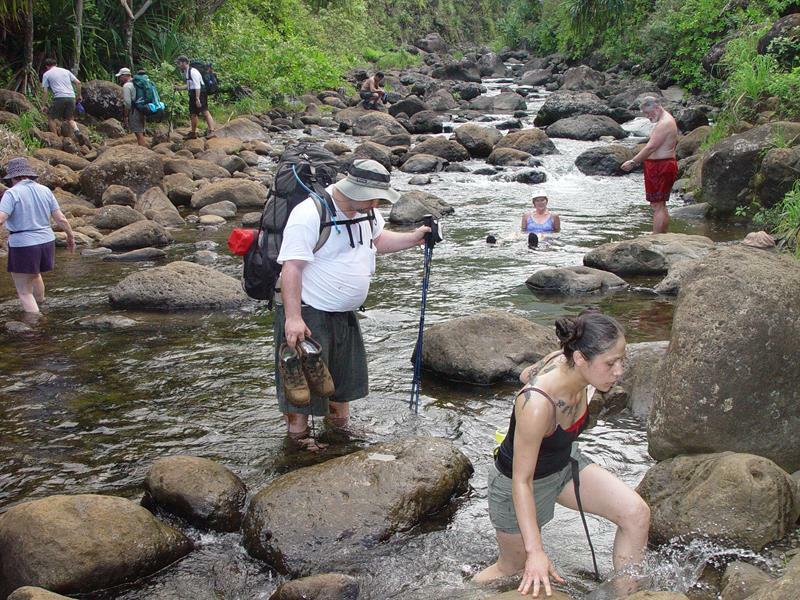 When you’re inland, you’ll have to cross more than a few streams like this. Be careful in inclement weather, though, because these streams well swell up and have the potential to carry you away. 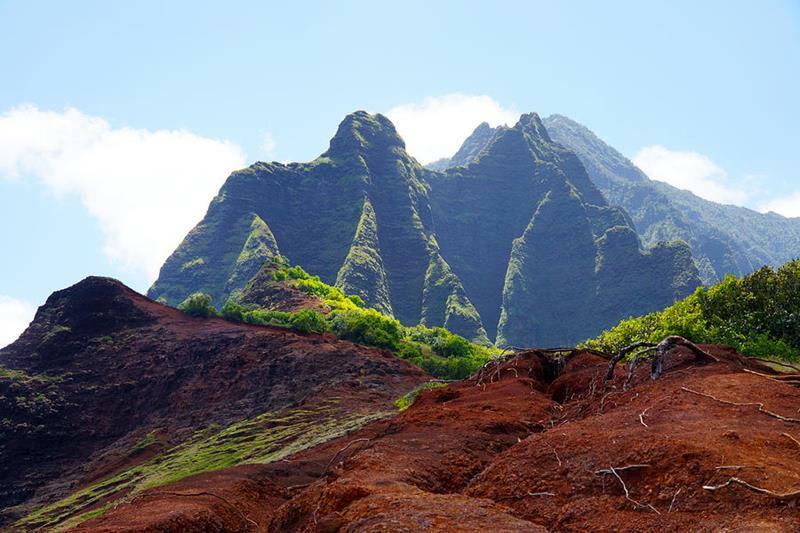 Inland, you’ll also see a lot of volcanic rock, a sign of the Hawaiian island’s tumultuous geological existences. The views from many sections of the inland portions of the trail are every bit as breathtaking as those along the water. This wider view of the “Red Hill” shows that not all portions of the inland trail are covered by a lush jungle canopy. It’s a long hike, and you’re going to need to cool off at points. So, feel free to take a dip at one of the many remote beaches. 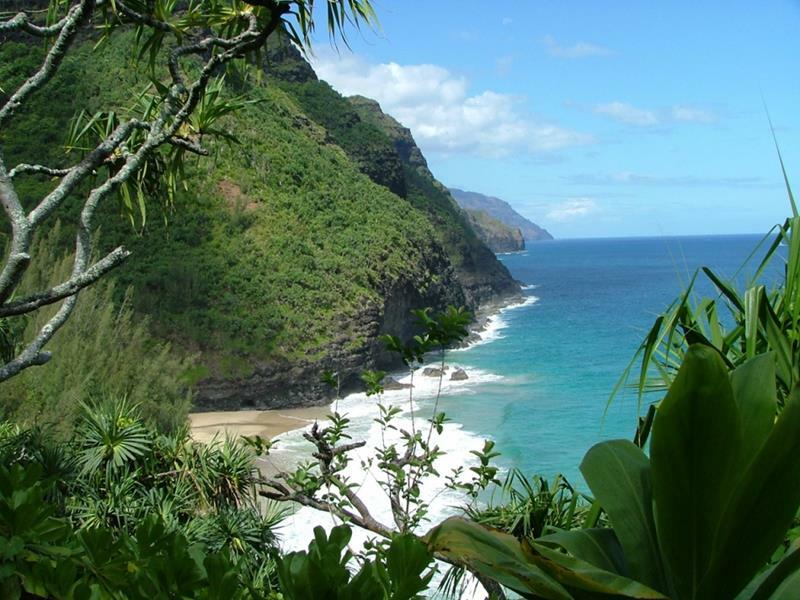 Over the course of the Kalalau Trail’s existence, over 100 hikers have died swimming at the remote beaches. Practice the buddy system! Of course, it’s not just the beaches that can get you. Check out the view down from Crawler’s Ledge! 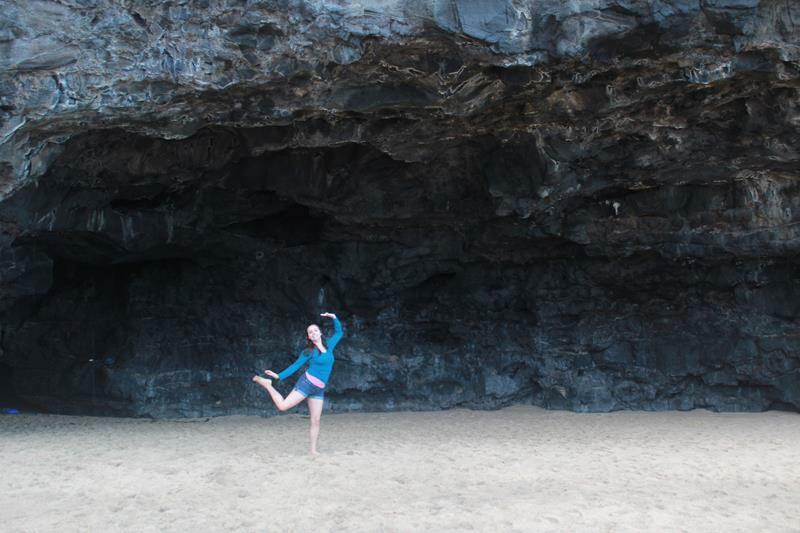 For those that manage to make the full journey to the end of the trail, there’s a stunning cave to experience! 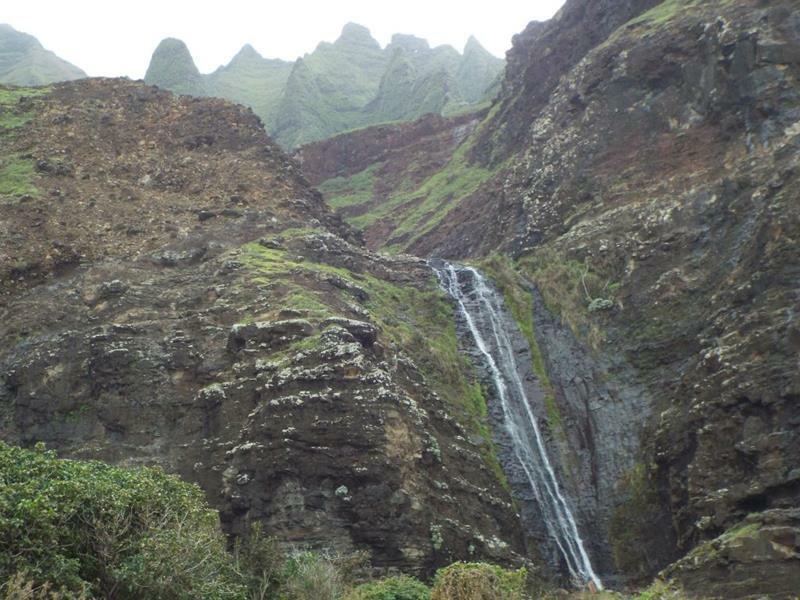 You’ll know that you’re nearing the end of the trail when this stunning waterfall comes into view! 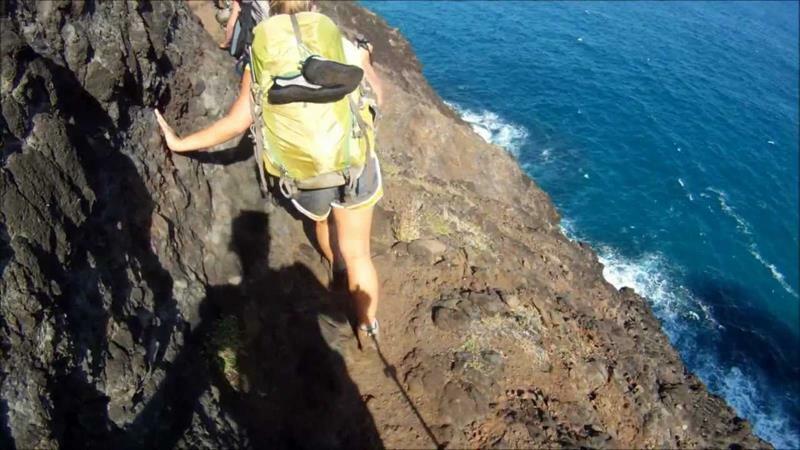 So, do you think you have what it takes to traverse the Kalalau Trail? If so, be ready for stunning views like this to go along with the inherent danger! The 20 Best Beaches in the World that You Just Have to See!